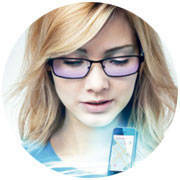 Since 15 March, buy your prescription lenses Essilor Eyezen gift you bring a second pair of glasses with your same rank. Relaxes and protects your eyes from the screens of electronic devices. On your second pair of progressive lenses Varilux gift for complete protection. 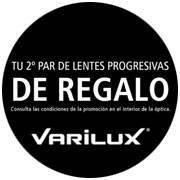 By purchasing Varilux lenses you bring a second pair of progressive lenses with the same graduation. 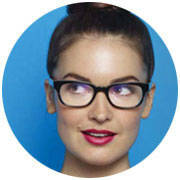 Your Eyezen lenses, with Crizal Prevencia. Crizal Prevencia is a smart filter lens wear Eyezen. It is designed for your comfort and your eye health. Block light violet-blue and harmful UV rays. And let light blue essential. Xperio polarized lenses. UV polarized lenses Xperio: Experience the landscapes as never before had seen. Prescription for you Xperio UV polarized lenses are the ultimate solution to protect your eyes. 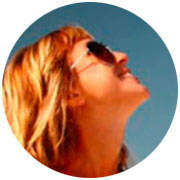 Eliminate glare and protect you from UV rays reflected on the inside of the lens. 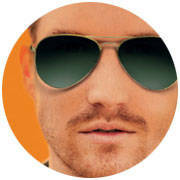 Xperio lenses with UV enjoying a greater visual comfort and perfect perception of colors. Your eye health is our priority. We offer a comprehensive service to take care of the health of your eyes. 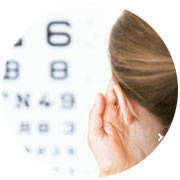 Detecting disease is to prevent your sight is affected in an irreversible. Come and become a full analysis retinography with an ophthalmologist. Because your eye health is our priority. Bring UV protection for your eyes is important, but it is also important to see well. And if your sunglasses are not graduates there are many things that you're missing. Come to Federòptics Roure and ask for your prescription sunglasses. With your second pair Essilor Eyezen lenses gift. When buying your prescription lenses Essilor Eyezen gift you with a second pair of glasses with your same rank. Relaxes and protects your eyes from the screens of electronic devices. Check the conditions of the promotion in our optics.